Prepare yourself for an afternoon filled with mystery and inspiration during a one-hour magic show at the legendary Broadway Comedy Club. A master magician will enchant the young-at-heart with a dazzling display of sleight-of-hand tricks for kids and mentalism for adults. 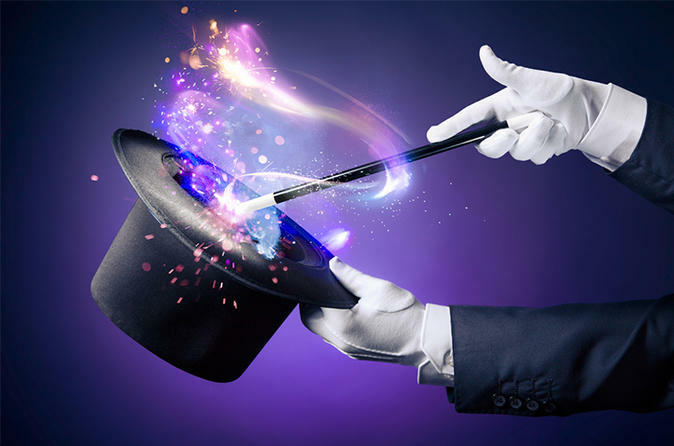 A master magician will enchant guests with a one-hour magic show featuring sleight-of-hand tricks ranging from magic rings, card tricks, appearing and disappearing tricks. This show is a combination of an on-stage presentation and interactive show. The magician will moves from table to table for and up-close and personal experience. The magician may even invite audience members to assist in various acts during the performance. Please note, there is a two-item requirement per person available for purchase during the performance.